Shatira is using Smore newsletters to spread the word online. 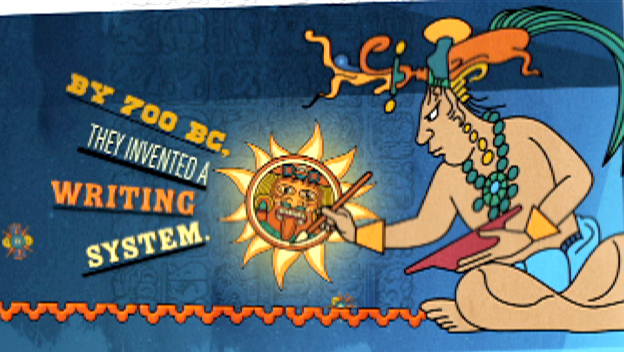 The Mayans has three calendars they are the Long Count, Tzolkin, and the Haab. The Tzokin and the Haab identify and name the days but not the year. The Haab is a 365 day solar calendar which is divided into 18 months of 20 days each and one month which is only 5 days long. The Tzolkin means " the distribution of the days." The long count was used to Track longer periods of time, they called it the "universal cycle." They believed that the universe is destroyed and then recreated at the start of each universal cycle. The Mayans used dots to represent numbers but a line represents the number 5. Zero is represented as a shell. They have another number system but it deals with pictures. The Mayans use writing. Some people think that the Mayans did not use writing. They used symbols to write. The growth of the great Mayan civilization is as much a mystery as its disappearance.